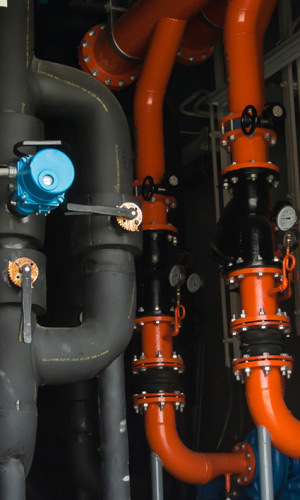 Originally founded in 1955 as Gurney Engineering Corporation, Gurney Water Treatment NE has extensive experience in designing and maintaining highly effective treatment programs for process and comfort cooling and heating systems, power generation systems, and potable water systems. We offer complete water treatment programs using the most current technologies and the best available feed and monitoring equipment together with effective training of operating personnel. Adding to our strength is our affiliation with Eastern Technologies, Inc. ETI provides advanced treatment products, extensive technical support and full laboratory services for a network of over 30 independent distributors/partners, both domestic and international. Gurney Water Treatment NE currently provides services, products and equipment to more than 400 customers and 2000 facilities. These range from manufacturing (heavy machinery, machine components, plastics, glass products, concrete products, etc.) to commercial properties (office facilities, recreational facilities, apartments and condominiums) to institutional facilities (hospitals, colleges and schools). We service throughout Massachusetts, Rhode Island, northern Connecticut, southern and central New Hampshire. Gurney Water Treatment NE is a member of the Association of Water Technologies and the National Association of Corrosion Engineers.